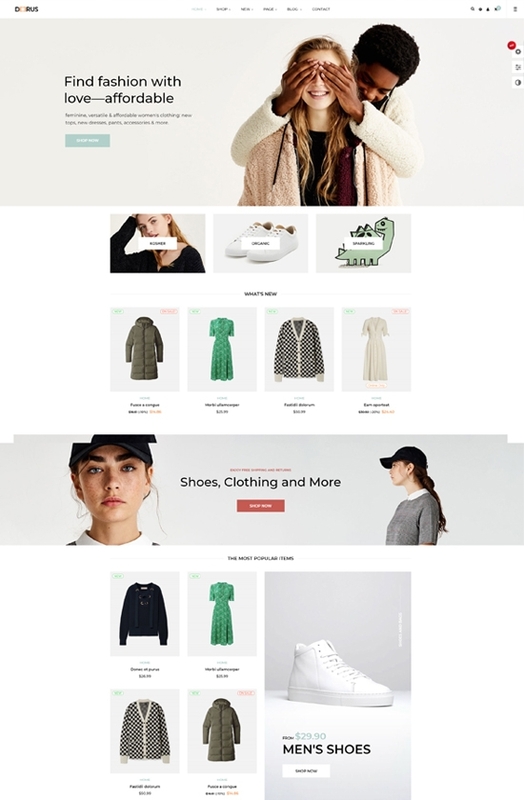 Bos Deerus is an advanced unisex fashion Prestashop theme that supports multi-store. 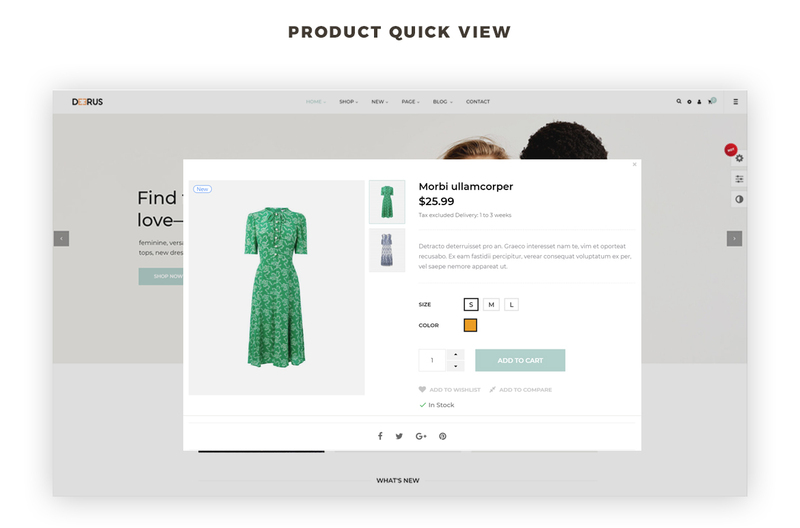 It possesses an elegant look with a perfect color combination, neat layout, which is perfectly suitable for high-fashion, women clothing, men clothing, accessories, bags, shoes, or glasses stores. 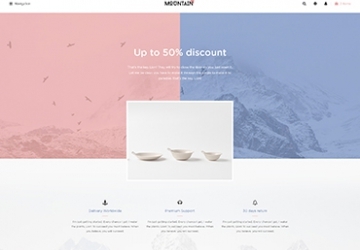 It comes with 6 homepages with different layout styles to give you more choice for your shop's appearance. 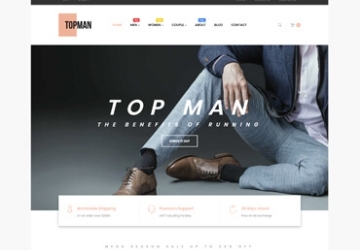 Each of the homepages owns a unique design of the hottest website design trends. 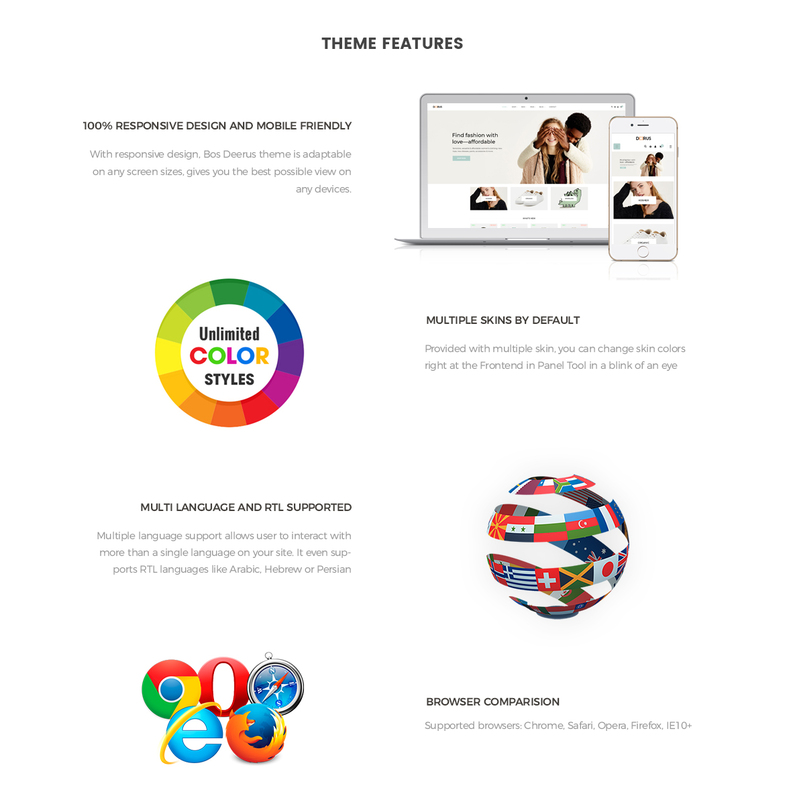 It is to mention Home 1,2,3,6 with a full-width design. 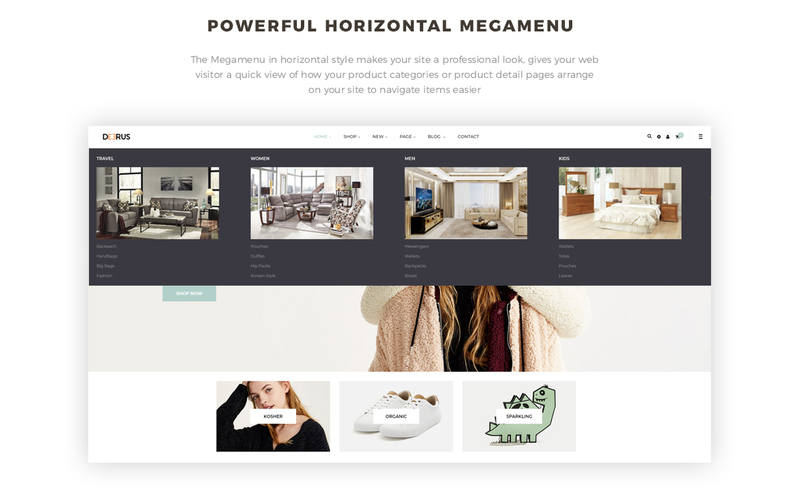 Especially, the combination of vertical and horizontal mega menu, while the vertical menu is compacted in only one button on the right side is the outstanding feature of the Home 6. 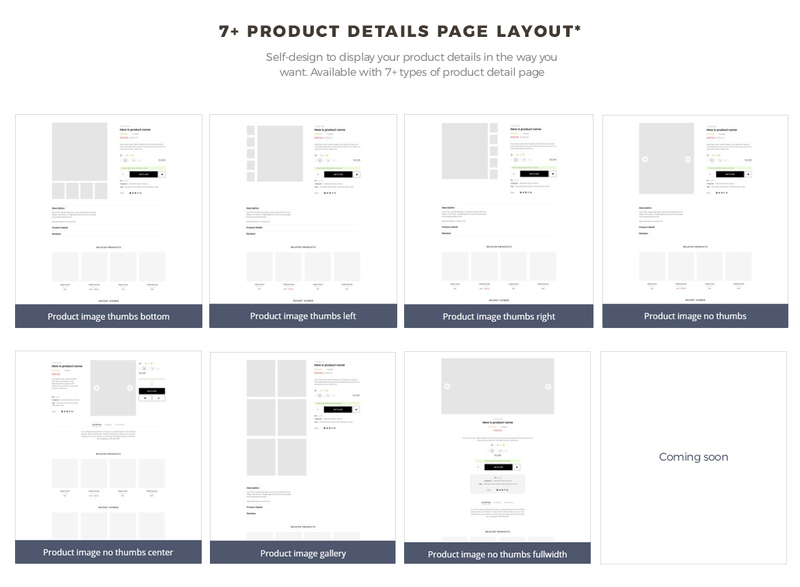 Home 5 is in boxed- large layout, whereas, Home 4 is remarkable with one-page scrolling website design. 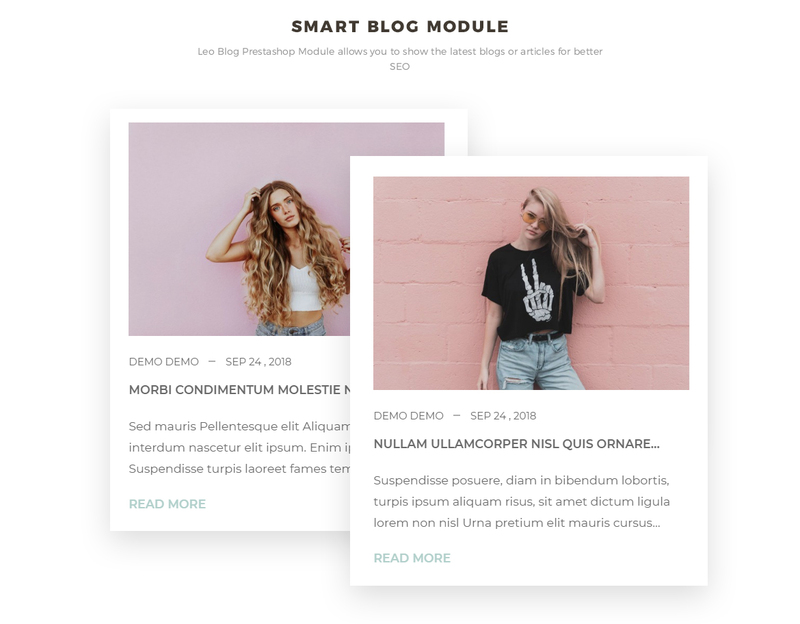 Bos Deerus is built on the best Prestashop, wonderful drag n drop Page Builder, and strong modules like Leo Feature module, Leo Slideshow module, Leo Quicklogin module, Block Group top, Leo Megamenu module, Leo Blog module. Therefore, you are always guaranteed that your site is equipped with the best utilities to bring the greatest user experience. 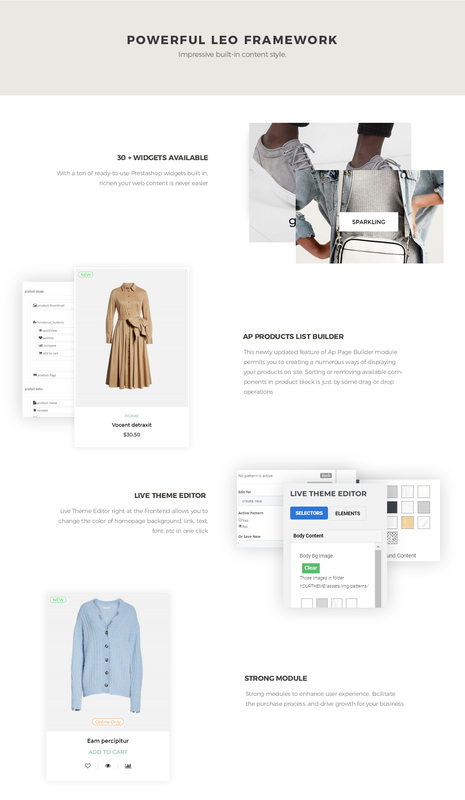 All is to enable you to build, manage or customize your site in the backend panel with ease and your web-visitor can complement the online purchase conveniently. 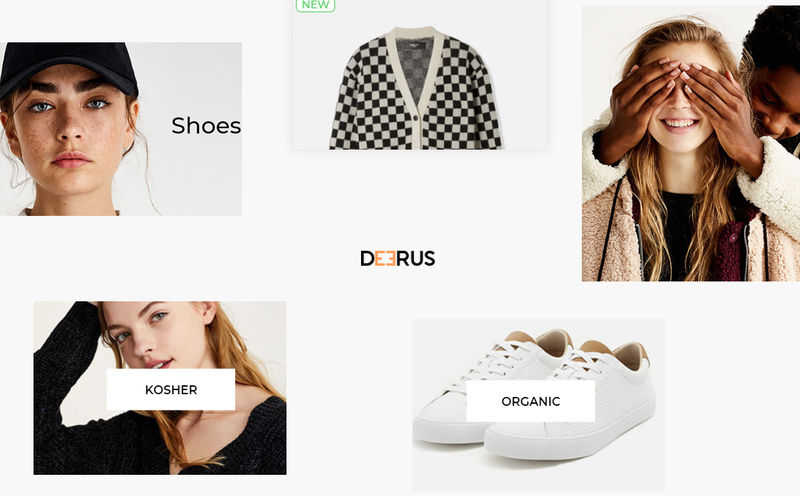 Bos Deerus is compatible with the latest version of Prestashop 1.7.4.x, it is fully responsive and supports both HTML5 and CSS3 that help to create refined web pages with semantic accuracy. 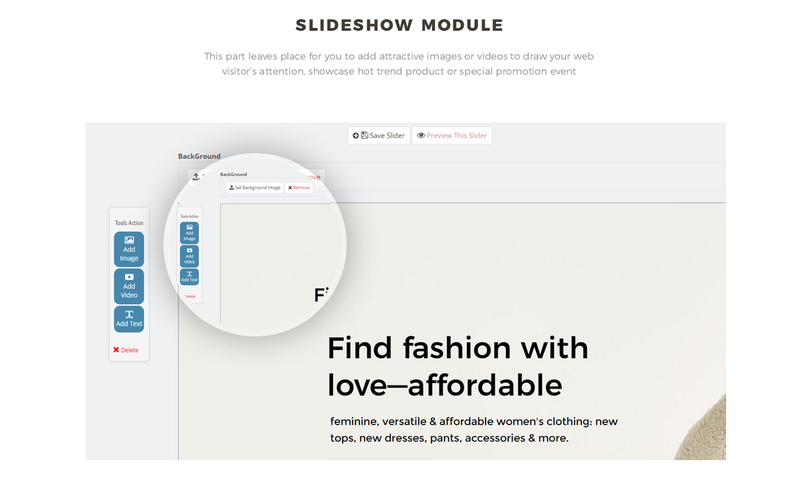 Let's check out the demo and backend to see how fantastic Bos Deerus is. 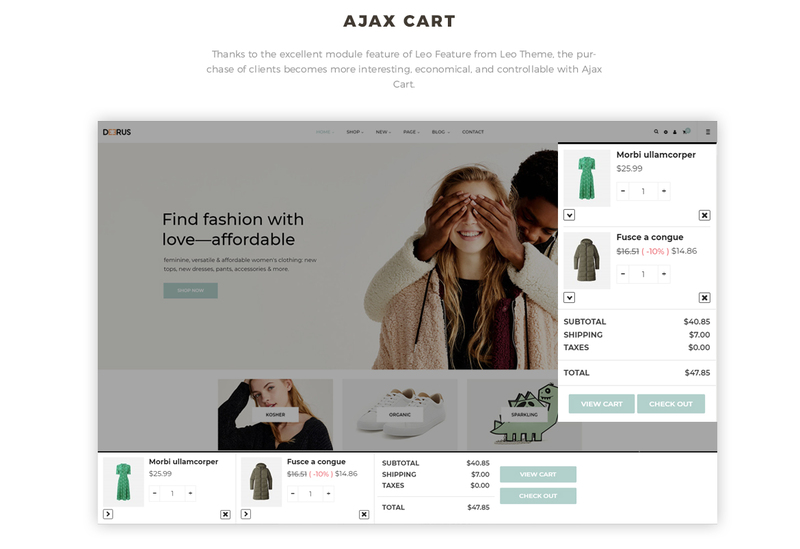 What makes Leo Deerus Responsive Prestashop Theme special?